Explore priorities and discover preferences in this quick, visual interactive. Weigh the factors that contribute to a larger event. Prioritize a set of answers. Compare and contrast with feedback. Assume the role of a trauma nurse and determine which patients need the most urgent care. This activity measures subject knowledge and judgement. What are Your Historical Interests? This activity measures subject interest. Determine preferences and see them ranked most to least. 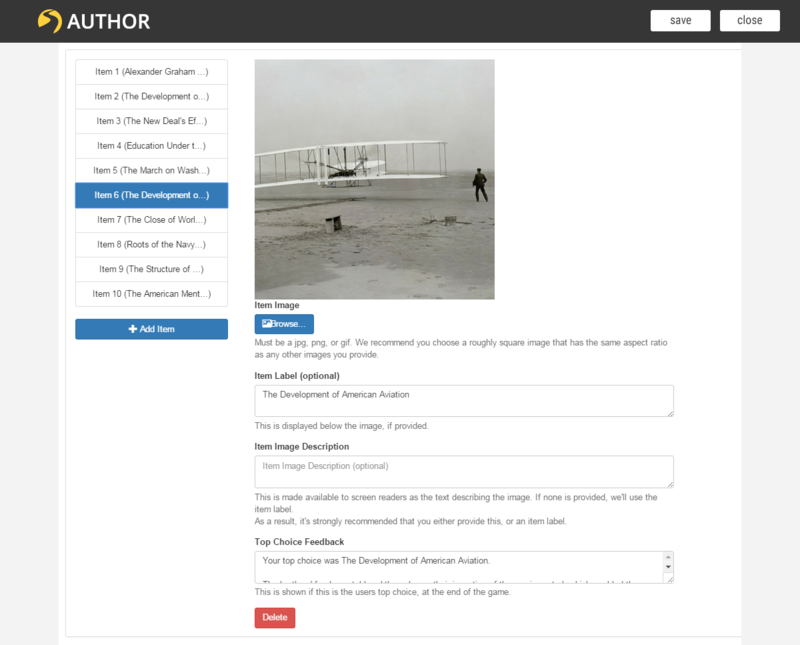 Author is the tool to reach for when you want learners to practice a skill, apply what they’ve learned, or role-play a job. If your organization is interested in Muzzy Lane Author please contact author@muzzylane.com.